It is already the third time Kaichi Travel takes part in ITB Berlin, the World’s Leading Travel Trade Show. Two previous years were very productive for us, we have found great partners with whom we closely cooperate this year and have nice plans for future. 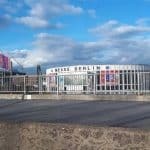 In 2019 the event will take place from 6 till 10 March in the Messe Berlin. You can find us on the stand of the Russian Federation № 610 in hall 3.1, of course in the part of the Altai region. We are open for cooperating with tour operators and travel agencies. 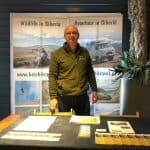 If your company has a demand for well organised trips to the remote places with outstanding nature and authentic culture, if your tourists wish to enjoy wildlife but are not ready for serious physical loads and camping, come over to our booth. 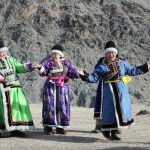 We can discuss possibilities for designing a very special tour exclusively for your company and of course to tell you more about Altai, this fascinating and stunning region of Siberia. On Saturday and Sunday we are waiting for public visitors. We would love to meet and show the best adventure and nature tours to Altai. If you are going to be at ITB Berlin, just drop by to our stand (610, hall 3.1.) or make an appointment by email via [email protected].